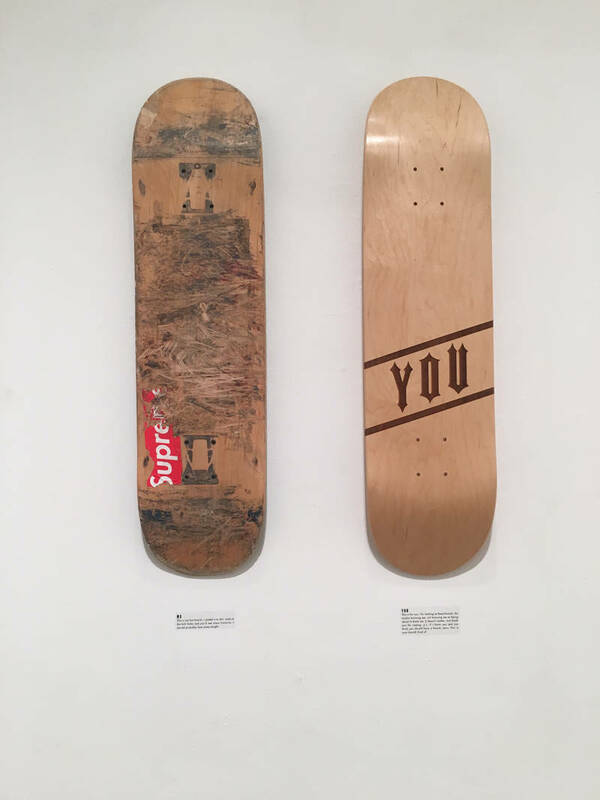 London-based filmmaker and lifelong skateboarder Ben Gregor has an art exhibition titled *Humble & Epic *helping to raise money for Skateistan. Ben’s vision is dedicated to paying tribute to those people who’ve inspired him throughout his life. For Ben, using skateboards as his canvas was an obvious choice. 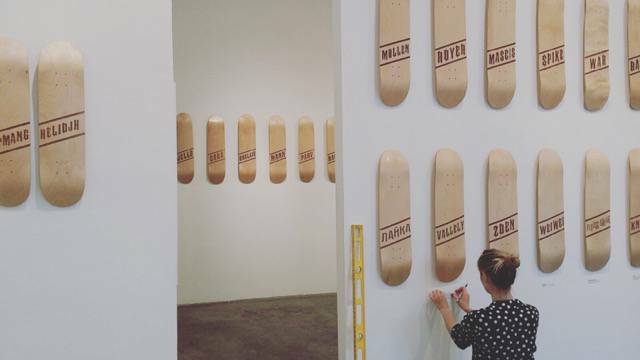 From Spike Jones, Evil Knievel, to Rodney Mullen each deck is unique with its own accompany of markings. 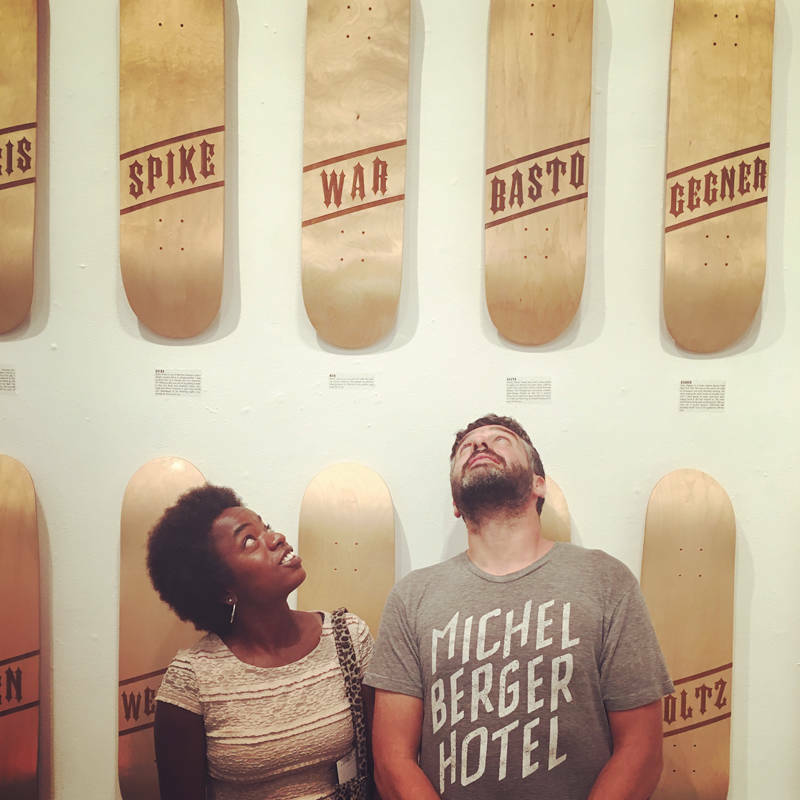 As part of the Humble & Epic Exhibition each deck’s sales go to help benefit Skateistan and their work to empower youth in Afghanistan, Cambodia, and South Africa through Skateboarding and education. DLXS caught up with Ben to talk about how the project came about and the upcoming Free Pizza show for Skateistan this Friday, August 12th at the Project Gallery in LA - 961 Chung King Rd, LA, CA 90012. Read the interview here! Click any image to find out more! The Route One interviewed Trevor McClung about sibling relationships, skating for Plan B and how he got noticed in skating. Thanks for the shout out Trevor!